Our very own harpist, Lily Primus, is a featured performer on CPR’s new holiday CD, Comfort and Joy. She performs Greensleeves with the Colorado Chamber Players. You can read about Lily’s contribution to the CD and contact CPR to order a copy of it by clicking here: https://www.cpr.org/classical/story/comfort-joy-is-cpr-classicals-new-holiday-compilationWay to go, Lily! Congratulations! DSAO string student Leslie Wilburn’s composition, O’Poveste, will premier Sunday Oct 28th and Nov 4th. Performance by Colorado Young Sinfonia. The Denver School of the Arts Symphony in Denver CO, Enrique Lasansky, conductor is the 2017-18 winner of The American Prize in Orchestral Performance in the public magnet school division. The Denver School of the Arts Symphony was selected from applications reviewed recently from all across the United States. The American Prize is a series of new, non-profit, competitions unique in scope and structure, designed to recognize and reward the best performing artists, ensembles and composers in the United States based on submitted recordings. The American Prize has attracted hundreds of qualified contestants from all fifty states since its founding, has awarded more than $50,000 in prizes in all categories since 2010, and is presented annually in many areas of the performing arts. Middle and high school orchestras accepted for 2019 ASTA-NOF in Albuquerque. Congratulations! Our high school orchestra together with DSA band students received the third place award in The National Orchestra Cup competition. 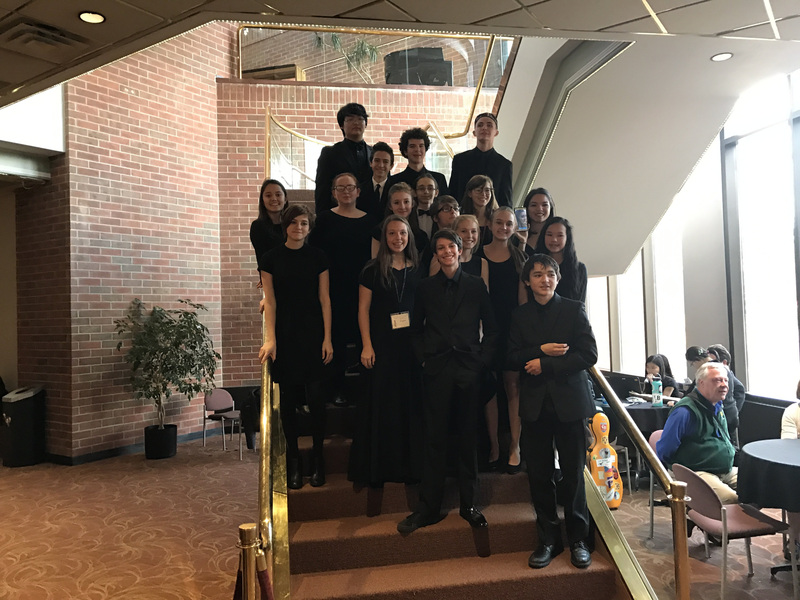 At the American String Teachers (ASTA) National Orchestra Festival, the DSA high school string orchestra received a superior rating from all three judges. ASTA 2018 National Grand Championship! Our middle school orchestra were first in their division and are the American String Teachers Association (ASTA) 2018 National Grand Champions. Our high school orchestra together with DSA band students received the third place award in The National Orchestra Cup competition. 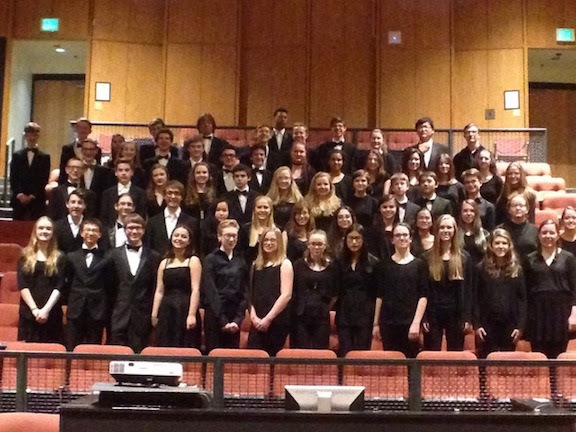 At ASTA, the DSA high school string orchestra received a superior rating from all three judges. Congratulations to all the DSA students who competed! A big thank you to all the parents who helped organize or served as chaperones on the trip. Finally a huge thank you to our excellent Master Mentors who coach our students on a weekly basis: Ben Tomkins, Robyn Julyan, Paul Primus, Matt Diekman, Danielle Guideri, David Short, Jeremy Nicholas and Mark Stefaniw. We could not have achieved these honors without your contributions. you! We had twenty one students accepted, more than a third of our orchestra! denied admission in years past. Next year may be your year! In the heart of New York City at the elegant Alice Tully Hall at Lincoln Center, The Orchestra Cup – National Orchestra Championships is held annually to crown the top school orchestra in the nation. Each performance is adjudicated by renowned orchestral professionals and educators from around the nation. Every orchestra will receive recognition for their dedication and commitment to their art. The Grand Champion is the recipient of the prestigious Orchestra Cup! Competition dates: March 1st – 8th, 2018. DSAO to Perform at Colorado Music Educators Association 2018! Congratulations to you and the DSA Advanced Full Orchestra from Denver School of the Arts for your selection as an “Honor Performing Group” for the 2018 CMEA Clinic/Conference! We had 130 audition submissions this year, so it is truly an elite honor to be chosen for this exciting event. The competition was quite strong and the quality very deep among the submissions received. Over the next several months there will be apprehension, excitement and anticipation in preparing for your performance. Whether it’s your first or tenth time to have a group chosen, I congratulate you and your students for a job well done. Your work and quest for excellence is respected and honored by all music educators in Colorado! Conference dates: January 25th – 27th, 2018. The National Orchestra Festival© is an annual festival held in conjunction with the ASTA National Conference. The NOF brings together orchestras from around the country to a single location in order to provide an unparalleled opportunity to receive placement, ratings, comments and education from leading clinicians and adjudicators in the industry. Competitive groups perform for placement within their own division: Middle School, High School, or Youth Orchestra. The NOF has the opportunity for two Grand Champions, both of whom will play in the NOF Concert on Saturday, March 10, 2018. There will be a Grand Champion for the Public School Division and one from the Private School/Youth Orchestra Division. Competition dates: March 8th – 11th, 2018. 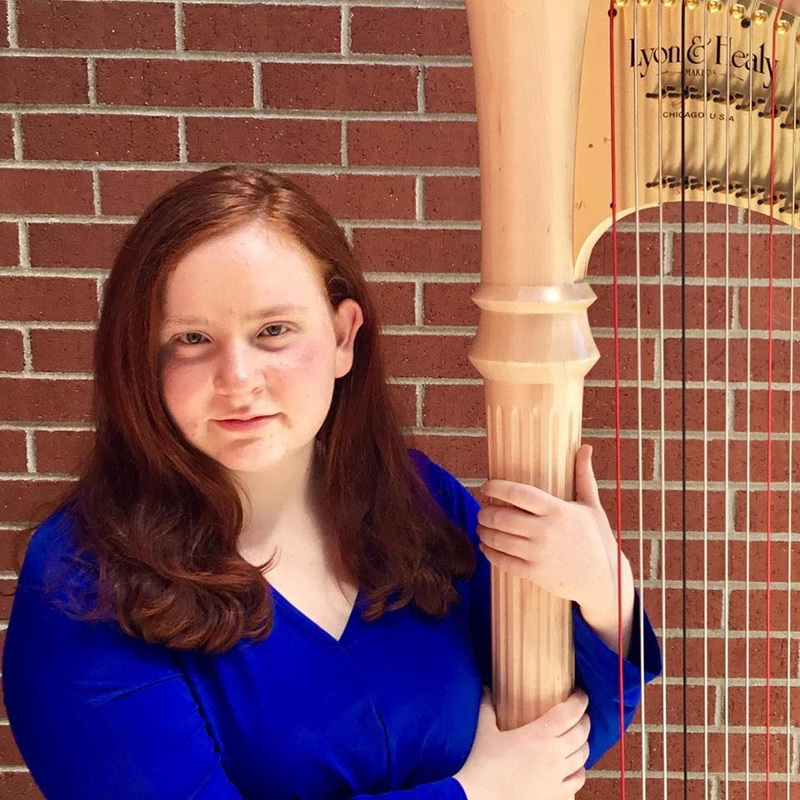 Lily Primus, rising sophomore, has been accepted into the final round of the American Harp Society Competition at St. Olaf’s College, Minnesota. Lily is one of 6 finalists, chosen from over 50 contestants from around the globe. She will compete on June 25th, and will also attend the AHS Institute at St. Olaf’s College. In July, Lily will attend the Young Artists Harp Seminar in Rabun Gap, Georgia as a scholarship student. Congratulations to all DSAO All State Orchestra participants! 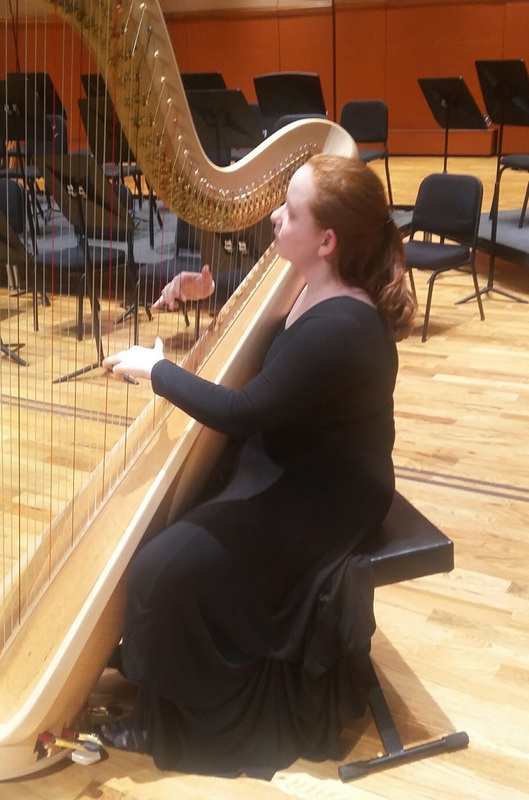 Congratulations to 14-year old harpist Lily Primus! Lily was one of 12 winners of the 2016 Young Musicians Foundation of Colorado competition on December 29th, 2016. Along with an award in the Junior Division, Lily was also awarded the prize for Outstanding Junior Division Performer, for ages 9-14. Lily plans to use her awards to attend the American Harp Society Competition and Summer Institute in St. Olaf, Minnesota in June 2017; and to attend the 2017 Georgia Young Artists Harp Seminar. Lily has been a student of Mary Kay Waddington since she was 5 years old, and was a prizewinner in the 2015 American Harp Society Junior Division Competition. Lily is a member of the Denver Young Artists Orchestra, and has attended DSA since middle school. Brava Lily! 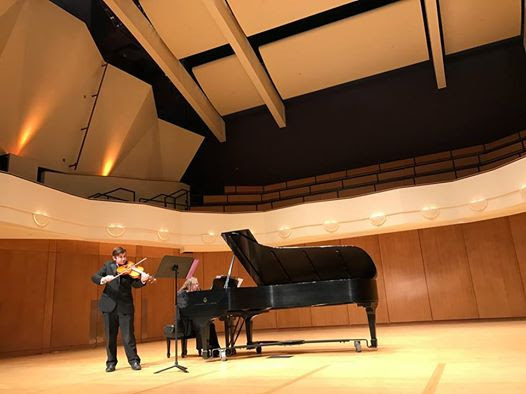 Josh Felser, a 7th grade orchestra major at Denver School of the Arts, was the 1st prize winner in the Intermediate Viola division, in the EOP competition at Metropolitan University on November 5th. Josh performed the Hummel Sonatina in the King Center Concert Hall for the winners concert on November 6th, and played for a master class. Josh is a student of Barbara Hamilton. These awardees will perform at the Western States Honor Orchestra Festival in Greeley November 3-5, 2016. We hope you all have a wonderful time representing DSA in Greeley!